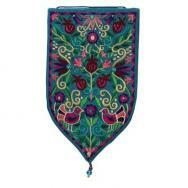 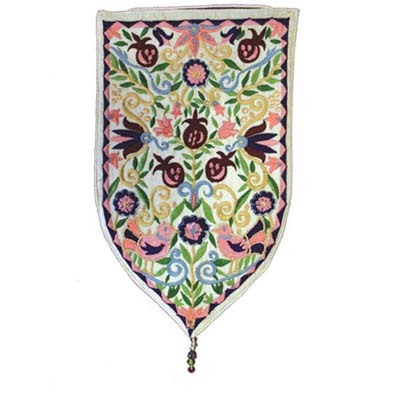 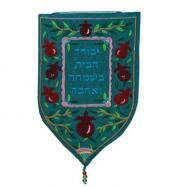 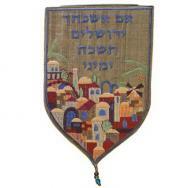 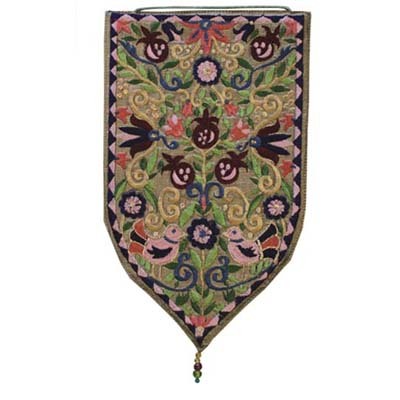 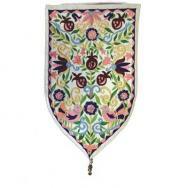 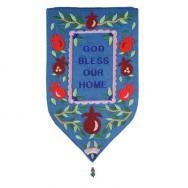 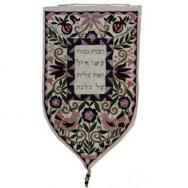 Yair Emanuel’s tapestry is made out of woven cloth and colorful embroidery, covering a firm shield. 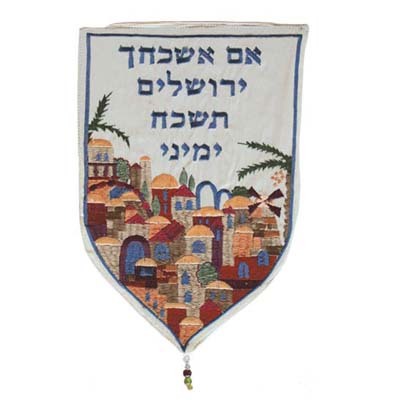 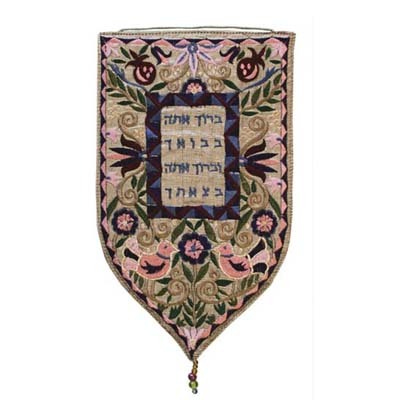 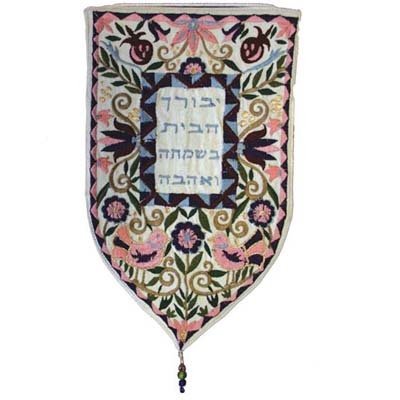 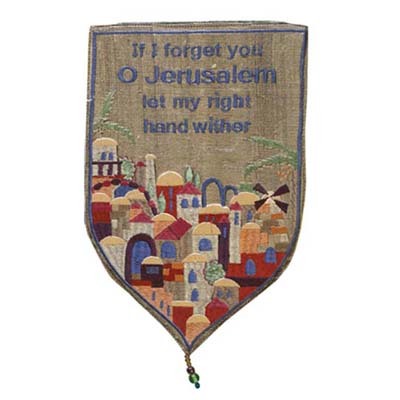 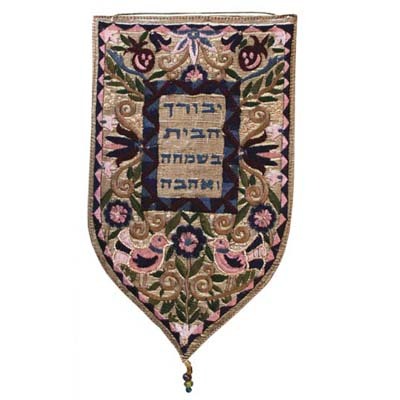 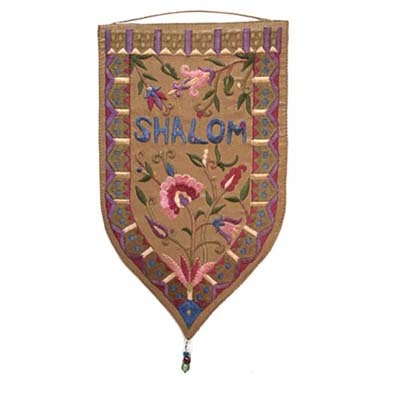 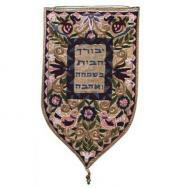 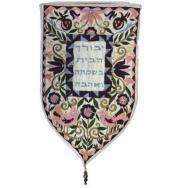 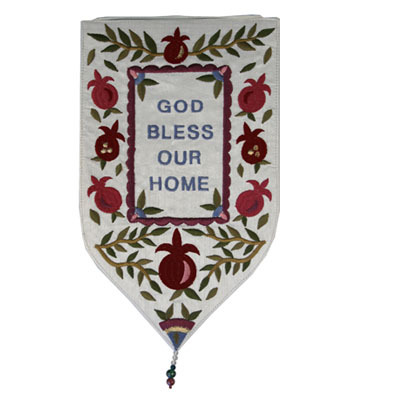 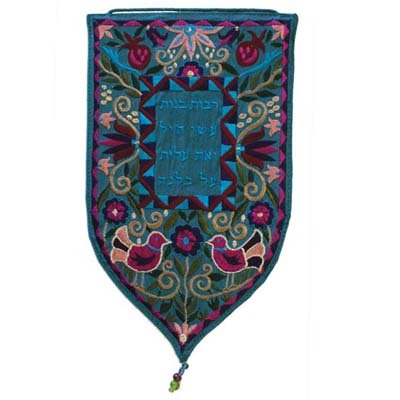 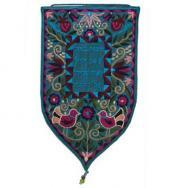 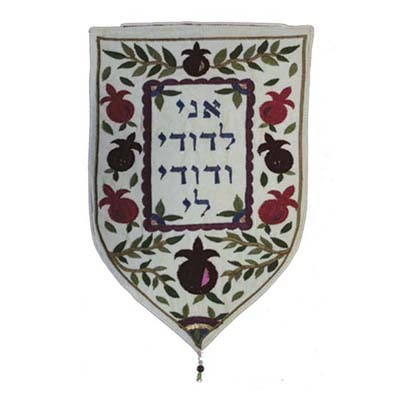 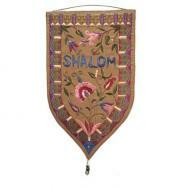 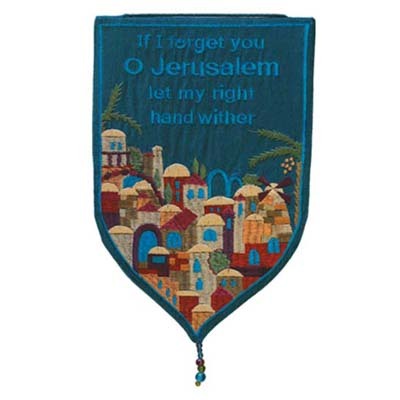 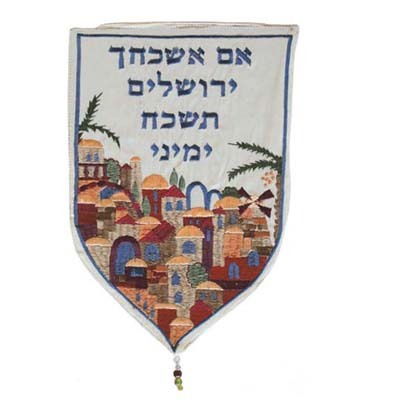 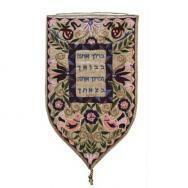 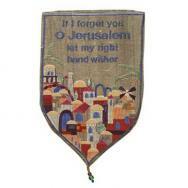 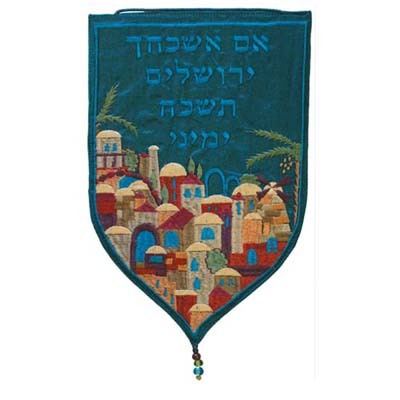 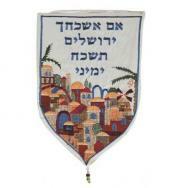 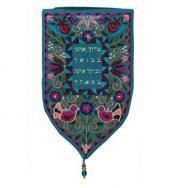 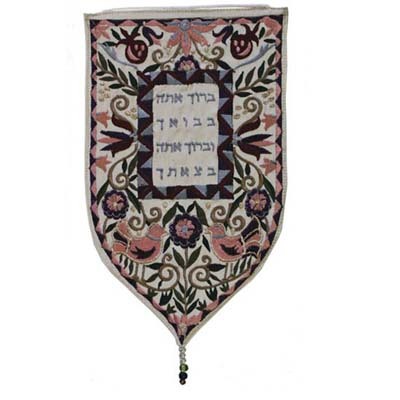 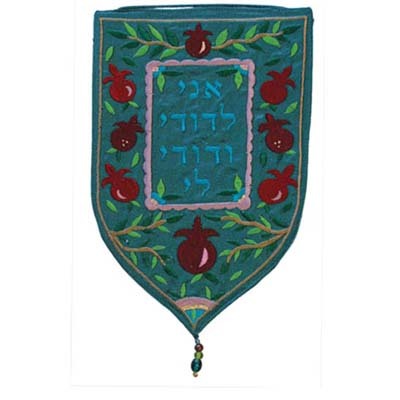 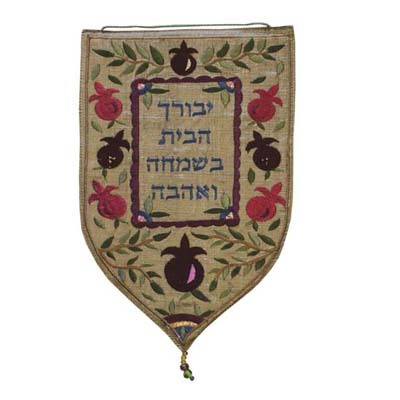 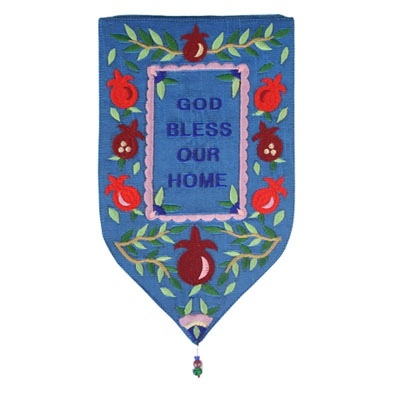 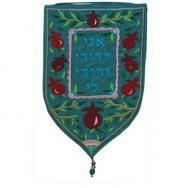 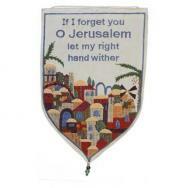 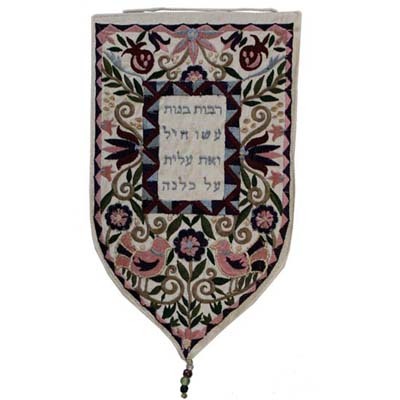 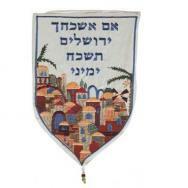 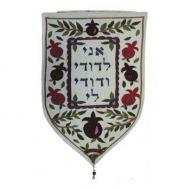 The tapestry comes in an array of colors and inscriptions of Jewish words and proverbs, and is suited for decorating both the home and the office. 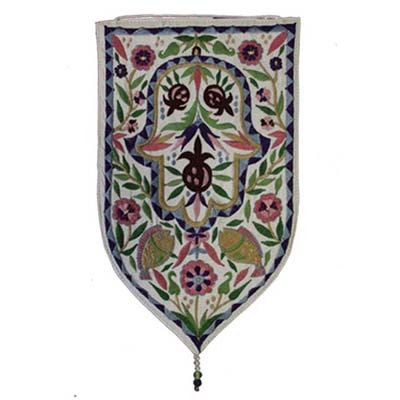 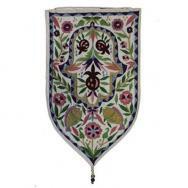 Oriental designs of hamsas, omegranates and flowers, as well as Jerusalem city views, adorn the tapestry.